What Are The Most Common Carpet Stains & How To Clean & Remove Them in Santa Ana CA? No matter how careful you are with your carpets, there is always going to be some spills that will turn into a stain. When there is a stain on the carpet it can be a real eyesore and cleaning them can be difficult especially if you wait too long. The longer the stain sits, the harder it will be to clean out of the carpet fibers. The best method to remove a stain of any kind is to do it as soon as possible and to have a professional carpet cleaner come out and treat the stains and the carpets on a regular basis. 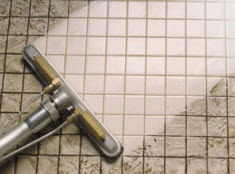 Leading Carpet Cleaning has the most common stains and how to clean and remove them. Removing kool Aid, Red Juice and Wine stains on carpets: This is a common stain that is found on carpets. This stain can be from a spilled drink from a child or form someone during a party. It can also be an accidental spill from something getting knocked off the table. A red juice stain is very hard to remove and that is why it is a common stain. Other colored juice spills can be removed much easier bit the red dye that is used in the drinks makes it much more difficult to remove from the carpet fibers. Removing Pet Stains and Odors: This is another very common kind of stain that is found on pet owners carpets all over the US. The stains can be from urine or feces that has been left by a dog or cat and has gotten into the fibers of the carpet. The stain may not be very dark but with it comes odor as well that can be very hard to take care of. The pet accidents need to be treated as soon as possible to ensure that they are completely gone. Coffee Spills Can Stain Your Carpet: Lots of people sit on the couch to enjoy a morning cup of coffee. The problem is that many times the coffee mug is dropped or bumped off the table and the contents spills onto the carpeting. The problem is that the coffee and even tea will start to stain the carpet right away and people even use tea as a way to stain and color clothes and other fabrics. All of these stains if left unattended and not treated can lead to a bad stain that sets into the carpet fibers and even the padding. The best way to remove these stains whether they are new or old is to call a carpet cleaning specialist to treat the stains and clean the carpets and rugs. Leading Carpet Cleaning has a full servive carpet cleaning company so give us a call in Orange, Santa Ana, Rancho Cucamonga, Anaheim, Whittier, Riverside, Chino & Fullerton California today. Should You Have Your Rugs Cleaned Along With Your Carpets? If you are like most Americans that use area rugs to add some level of fun and pizzazz to your home then you need to know about having them cleaned. A rug is a great addition to any room and can add your own personal flavor to a room as well as protect an area of carpet from damage and spills. Many people use rugs on tile and hardwood floored areas but also on areas that are carpeted as well. There are several types of rugs and styles that you can choose from but they each have one thing in common they need to be cleaned. Just like your carpet and floor collects dust and dirt the rugs do too. There are many people that assume that when you have your carpets cleaned the best thing to do is to take the rugs and roll them up and move them out of the area. This is a terrible idea. Leading Carpet Cleaning Lists Why Having Your Rugs Cleaned Along With Your Carpets is a Great Idea. The Rugs Are Dirty: The biggest reason that you want to have your rugs cleaned is because they are dirty. The rugs are what are laid on top of the carpet and that means that it is collecting the dirt that the carpet would have gotten. The rugs are just like a carpet because they are made from carpet fibers that are woven together to make the rug. It seems that people are more likely to drag dirt in if it is a rug too. Don’t Skip The Rug Cleaning: This is a crucial part of carpet cleaning. If you take a rug that has been used and walked all over and roll it up to have your carpets cleaned you are doing a disservice and wasting the carpet cleaning that you are paying good money for. When you decide to roll up the rug that is dirty you are rolling all the dirt up with it. Then you pay to have a professional clean your carpets and after they have dried you unroll the same dirty rug and set it down. You can see now how this will turn into a major mess. The dirt that was on the rug is then drug from the rug to the freshly cleaned carpet. If you are ready to have your carpets cleaned and your rugs along with it call Leading Carpet Cleaning today in Orange, Santa Ana, Rancho Cucamonga, Anaheim, Whittier, Riverside, Chino & Fullerton California today. Spring Cleaning Your Air Ducts in Fullerton CA; Air Duct Cleaning Allows You to Breathe Easier, Reduces Dust & Lengthen Life of HVAC Unit! Many homeowners are beginning to make their annual spring cleaning list that usually includes dusting, floor scrubbing, carpet cleaning, shower scrubbing and other deep cleaning tasks. Spring cleaning helps to revive your home and get rid of any dust, dirt or grime that has comfortably settled in this past winter. One cleaning task that is often overlooked when it comes to spring cleaning is having your air ducts professionally cleaned. Leading Carpet Cleaning will clean the air ducts in your home and ensure that they are clean and ready for another season of performance. Your home is a place of refuge and comfort from the outside world and should be as relaxing as possible. The air in your home should be easy and clean to breathe. However according to the EPA; indoor air is found to be up to 70 times more polluted than outdoor air. Think of all the pollutants that are floating around outside that you can physically see, like automobile exhaust or smoke from industrial buildings. It is hard to believe that the air in your home could be more dangerous than that. Air duct cleaning by Leading Carpet Cleaning will remove airborne contaminates like bacteria, fungus, mold spores, pet dander and pollen. Removing these contaminates will assist in alleviating allergies and asthma symptoms. Leading Carpet Cleaning air duct cleaning will help to reduce the dust in your home by removing the dust where it travels most – through your air duct system. When the air ducts in your home are not cleaned regularly, dust is allowed to flow through your vents and into the air of your home, slowly settling on everything from your furniture, windows seals and floors. When you hire Leading Carpet Cleaning to professionally clean your air ducts, you will notice a big difference in the amount of dusting you will have to do in your home. The most common system failures are caused by dirt and dust buildup. Accumulated dirt and other debris will reduce the cubic feet of air per minute as much as 50%. This will result in cracks appearing in your heat exchangers. When you have your system cleaned by Leading Carpet Cleaning, you will prevent premature breakdown and lengthen the life of your unit. Contact Leading Carpet Cleaning today to have your air ducts professionally cleaned. Professional Carpet, Floor, Upholstery Sofa, Mattress & Air Duct Cleaning in Orange, Santa Ana, Rancho Cucamonga, Anaheim, Whittier, Riverside, Chino & Fullerton California! Purchasing new carpet or furniture for your home is a big commitment; after all you are purchasing more than something new you are also purchasing an image that showcases your personality and individuality. Your carpet and furniture often takes a beating, especially if you have children or pets and even more so if you have both. While it is certainly true that your carpet and upholstered furniture will wear and fade with regular use, you can prolong the life of your furnishings with a professional deep clean from the knowledgeable carpet and upholstery cleaning experts at Leading Carpet Cleaning. One of the best things you can do for your home décor is to keep up with your cleaning on a regular basis. Vacuuming your carpet and upholstered furniture is one of the simplest and one of the most effective ways of keeping your floors and furniture looking like new. 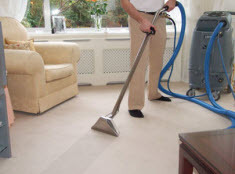 A professional level of cleaning and care are extremely important, and the experts at Leading Carpet Cleaning have some insider tips that can help you enhance and maintain the beauty of the interior of your home that works in conjunction with a professional deep cleaning that will preserve your carpet and furniture for years to come. Regular Vacuuming of Carpets – Almost 80% of the dirt in your carpet is considered loose dirt. By vacuuming your carpets once per week you can remove the loose dirt before it is absorbed by the fibers in your carpet. High traffic areas should be vacuumed more frequently. Dust Hardwood & Tiled Flooring – The best thing that you can do for your wood and tile flooring is to use a treated dust mop at least once per week to remove fine dirt. If left untreated, these small particles of dirt can damage hard surfaces causing pitting and other irreparable damage. Spot Clean Spills and Other Accidents – Clean up spills on carpet and upholstery as soon as they occur. If you allow a spill to completely dry it can be next to impossible to remove or at best very difficult to remove. Use a clean white cloth to blot the stain and remove as much of the spill as possible. Deep Clean Carpets At Least Once Per Year – Your carpets should be cleaned by your Leading Carpet Cleaning technician at least once per year to maintain their beauty. A professional carpet cleaning will ensure that dirt and detergent are completely removed using a hot water extraction system that will leave your carpet clean and sanitized. Deep Clean & Treat Your Hardwood Floors – Your hardwood floors should be professionally cleaned and treated by your Leading Carpet Cleaning technicians at least once per year to remove ground-in dirt. Many consumer products leave a film on your floor that can attract more dirt which can be removed by your Leading Carpet Cleaning professionals. Deep Clean Upholstery to Remove Oil & Surface Stains – Your sofa, loveseats and armchairs are used every day and attract surface oils from your body and hair. 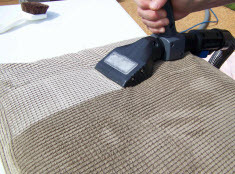 The expert cleaning technicians at Leading Carpet Cleaning have cleaning solutions and equipment that will clean and deodorize your upholstered furniture leaving it fresh and looking just like new. Contact Leading Carpet Cleaning for Full Service Residential & Commercial Floor & Upholstery Cleaning in Orange, Santa Ana, Rancho Cucamonga, Anaheim, Whittier, Riverside, Chino & Fullerton California!